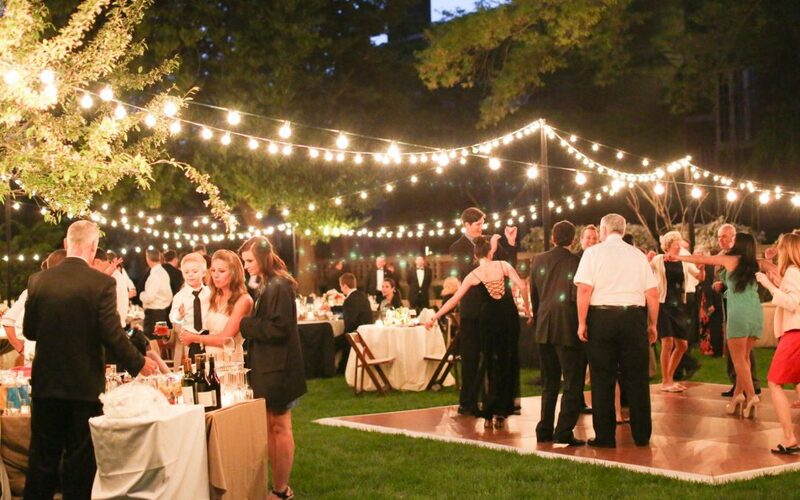 It’s wedding season again and a significant number of weddings are held outdoors. The reason is clear, as we live in a city that is usually freezing cold and not suitable for an outdoor wedding. During the late-spring, summer and fall months the city is beautiful and the weather is terrific. For most people planning an outdoor wedding, they often don’t think about portable toilet rentals and bathroom breaks as the first things to deal with during the planning process; however this is a crucial part of planning a successful outdoor wedding. When thinking about portable toilets for your outdoor wedding you may be concerned about the display of portable toilets during your event. Don’t worry, there are options and you won’t have to risk a portable toilet finding its way into your guests photos. You can hide them behind some tree lines or hedges and put some signage to help guests navigate to the portable restrooms. This is a great idea for a more subtle approach to handling the guests bathroom issue. Our portable toilet rentals are great because they do blend into most environments seamlessly but if you are concerned it is a good idea to look for places to “hide” your portable toilet rentals. You can also hide them by placing them under their own tents. This will add a level of class and keep them hidden from view during your ceremony. Your wedding is your special day and just because getting hitched is serious business, your outdoor wedding and reception should definitely be light and fun. Don’t feel uncomfortable when it comes to the thought of portable toilets at your outdoor wedding and instead have some fun with the idea and get some custom printed toilet paper with the date of the wedding on it or distribute little bottles of sanitizer with pictures of the bride and groom on them. This would add a sense of humour to the portable toilets and make a lasting memory – in a good way! If you are in the midst of planning your outdoor wedding in Ottawa then give us a call to discuss some options for portable toilet rentals in Ottawa.